Caliban is a former UEE system lost during the The Fall of Caliban in 2884. "Caliban is a former UEE system lost during the Vanduul push. The Fall of Caliban in 2884 is famous for being the last time a Vanduul Kingship was in UEE space. The ensuing battle also featured the Lost Squad’s last stand against overwhelming odds. Over six decades later, both worlds remain a feast for the harvesters of roaming Vanduul Clans." The system was reportedly discovered in 2341 by Ashleigh Gonn, a hauler working in the Nul System. When pirates swarmed her, she Quantum traveled to evade and scanned for potential tracking pirates. Instead she uncovered a spacial anomaly that turned out to be a Small Jump Point connecting to the Caliban System. Gonn immediately turned in the data to the UNE and named the system after her father, and then vanished from the public eye. However, when pathfinders moved into the system they found an abandoned human settlement on Caliban 4f containing valuable ores, bringing her claim of discovery into dispute. Caliban is a Main Sequence Dwarf-G star. A small coreless world that has been mined of all its resources. Prior to the Vanduul incursion, this small terraformed world was home to millions of Humans. Now Vanduul harvesters chew through the remnants of Human civilization. A desert world that was being terraformed when the Vanduul arrived. It began to revert to its original form when the terraforming machinery crashed into the planet. A gas giant composed of massive clouds of silicate and iron that give it a grey-green color. A protoplanet lacking an atmosphere. 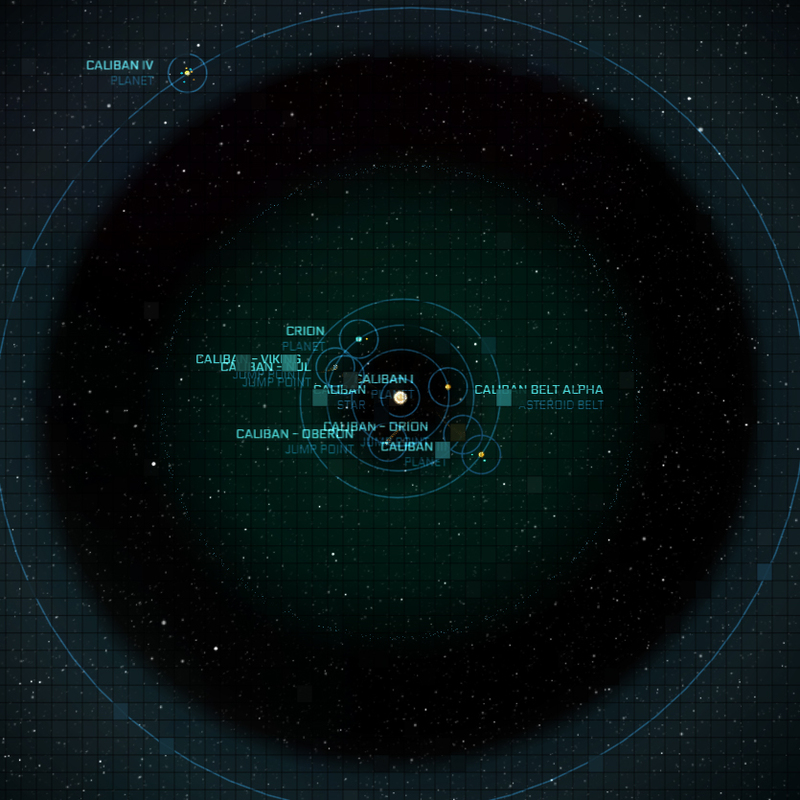 The Caliban system contains one asteroid belt, Belt Alpha is located between the planets Caliban III and Caliban IV.